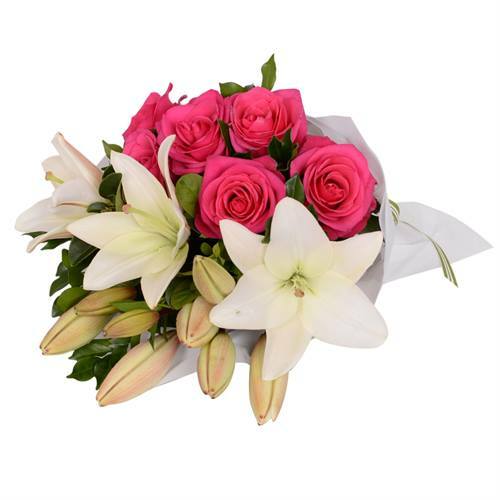 This combination of our luscious white Asiatic lilies and ravishing hot pink spray roses hits the sweet spot every time! Now including a free box of Chocolatier 40g Chocolates valued at $7.95. 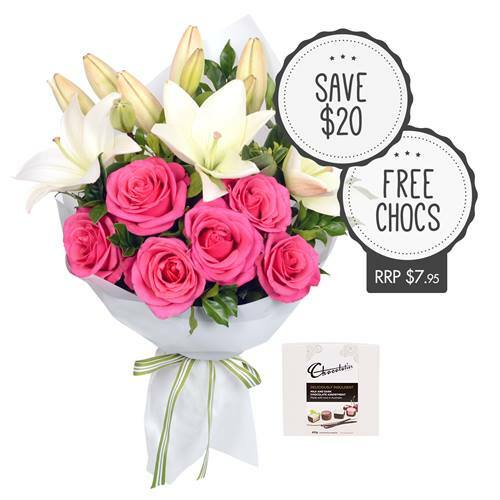 Fancy Flowers Roses and Lilies with Chocs This combination of our luscious white Asiatic lilies and ravishing hot pink spray roses hits the sweet spot every time! Now including a free box of Chocolatier 40g Chocolates valued at $7.95. Please note: We only use the freshest flowers so lilies may be sent closed. This will ensure your bouquet lasts for the lucky recipient.